This week marked twenty five years since the start of the 1990 World Cup in Italy, a competition that has been widely derided as being an overly defensive and cynical tournament lacking in quality. But that's not how I remember it at all. Sure there were a lot of 1-0's and knockout matches going to penalties, but I remember the last tournament before football became the commercial beast it is now with a lot of fondness. 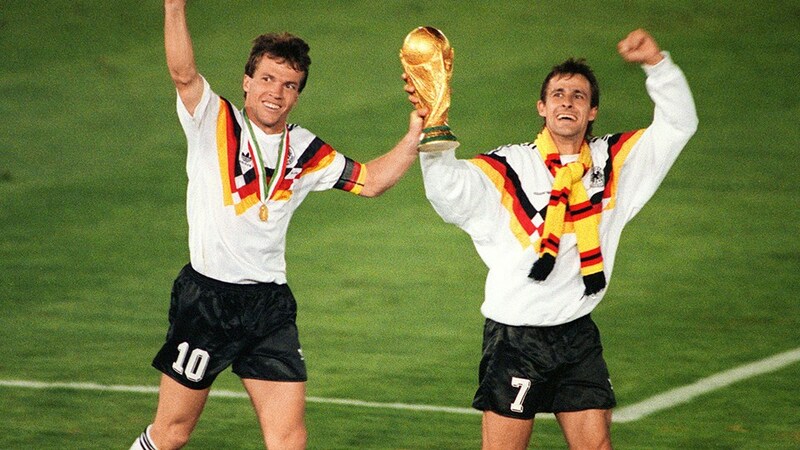 The 1990 World Cup featured a terrific West German side led by captain Lothar Matthaus lifting his country's third World Cup, after getting through a couple of epic encounters against rivals from the Netherlands and England, all while wearing some of the coolest kits to ever grace a World Cup. Speaking of England, Italia 90 saw the Three Lions best performance at a World Cup since winning the trophy on home soil in 1966. After a dire 1-1 draw with Ireland in their first group match, manager Bobby Robson changed around his tactics to allow for a sweeper and with that England surged on to the last four. 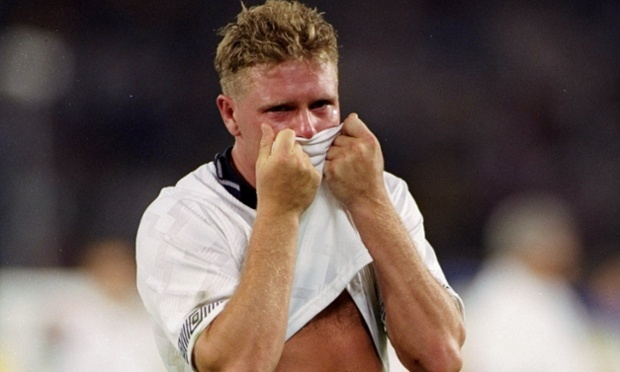 Despite the loss on penalties to the West Germans, a star was born in Paul Gascoigne and England left with their heads held high for once. Elsewhere the side that England defeated in the Quarter-Finals, Cameroon, provided the surprise package of the tournament as they defeated the reigning champions Argentina in the tournament opener and then thrilled the world with their progress into the knockout stages, in no small part due to the swashbuckling exploits of the 38 year old Roger Milla. 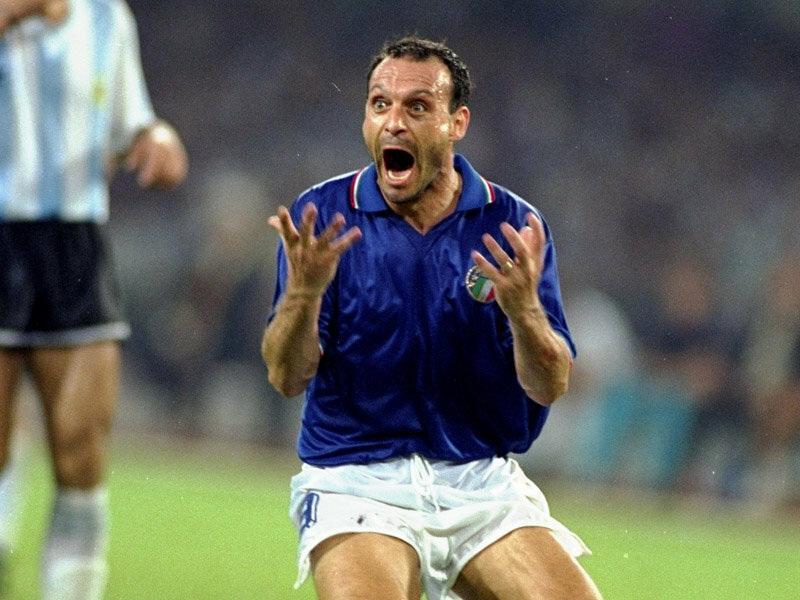 As for the hosts, the emergence of Italy's Roberto Baggio was thrilling to witness and the wide eyed celebrations of the unlikely goal machine Toto Schillaci lives long in the memory. 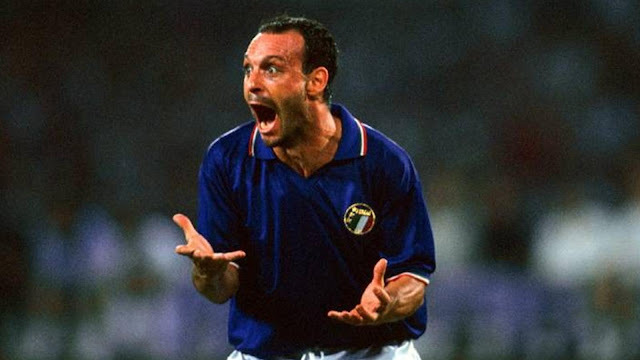 Schillaci had been plying his trade at Messina in Serie B only a year before his surprising move to Juventus and had not even been capped until 1990. However the little man from Palermo would go on to win the tournament's golden boot with six goals for his country. 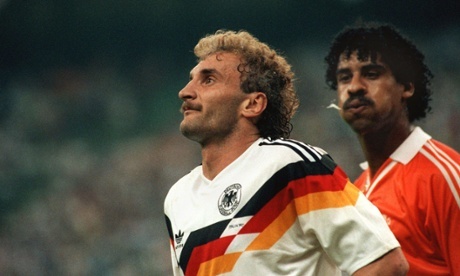 Alas all good stories have both heroes and villains, and Frank Rijkaard certainly fell into the latter category when he gobbed into the hair of Rudi Voller during an ugly confrontation between his Netherlands side and West Germany. But the true villains of the piece were a sub par Argentina side that somehow kicked and scraped their into the World Cup Final. Their ugly and cynical play, which couldn't even be brightened up by Diego Maradona who was not 100% fit for the tournament, won them few admirers. It was even rumoured that during Argentina's 1-0 win over Brazil in the Round of 16 that a water bottle spiked with tranquilizers was purposely given to the Brazilian left back Branco by Argentina's physio to nullify the player. The notoriously ruthless Argentinian manager Carlos Bilardo later said "I'm not saying it didn't happen", when questioned about the incident. 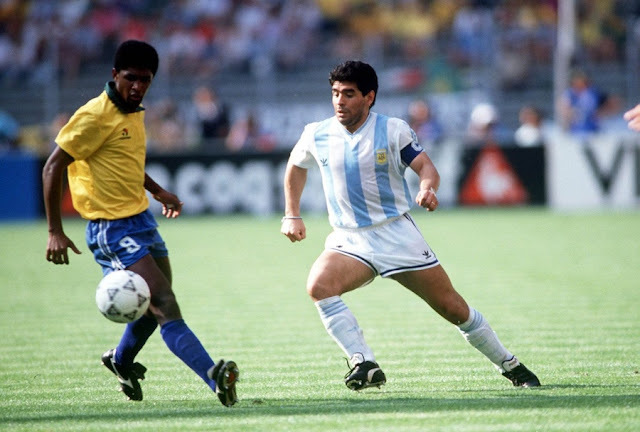 Argentina also didn't endear themselves to the hosts in particular, when Maradona encouraged the people of Napoli to remember how badly the rest of the country thinks of them and back his side in the Semi-Finals over the Azzurri. The South Americans would win that match on penalties and send Italy into mourning. In the end though the best team won the World Cup and after the spectacle of a tournament that Luciano Pavarotti's "Nessun Dorma" had been the soundtrack, international football was on the edge of evolving into the global juggernaut it would become over the next two decades.